On Monday afternoon our Year 8 students took part in a pedestrian safety workshop run by Streetwise. The workshop was produced due to the high level of road traffic incidents involving young people around the ages of 11 – 13. Students were reminded of the potential consequences of not concentrating when crossing busy roads e.g. using phones, listening to music, messing around with friends etc. 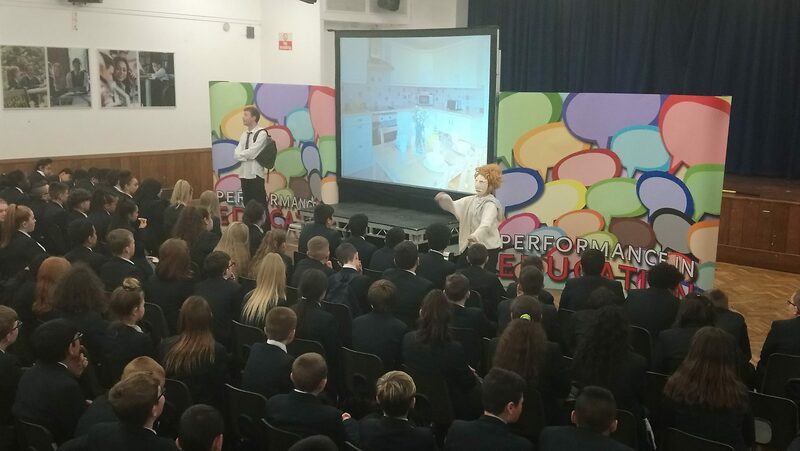 The programme consisted of a multi media performance and an interactive follow up workshop. The workshop was designed to raise awareness of the dangers of getting distracted when using public roads as a pedestrian. The risks students sometimes take around roads and their consequences was also discussed and highlighted. During the workshop the presenters helped students to create real life strategies to overcome peer pressure and peer influence around poor road safety and they encouraged the use of designated crossings and pedestrian controlled crossings as well as the need to ask for help when it is needed. The presentation lasted an hour and was a valuable workshop for all students involved.